"Tokyo Stories" is a series of Flash movies about life in uber-modern Tokyo. After the welcome screen appears, you have to click on a play button for one of the movies shown. Seeing these movies, I'm reminded of how different life in Tokyo is from life in rural Japanese areas such as Aso. Tokyo, a great place to visit, and a great place to live if you've got the energy—and the money. 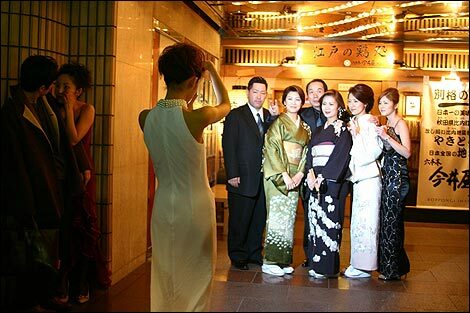 A wedding in Roppongi, one of a couple dozen photos in a series (click the image to see more).